Last week was Mental Health week in Australia and it was remiss of us not to acknowledge it. Maintaining good mental health is crucial for all Australians. In her talk at our recent summit, BHP Billiton’s Laura Tyler – herself no stranger to the demands of the mining industry – shared her thoughts on maintaining good mental health. Laura discussed the need to reduce the stigma surrounding mental health issues in the workplace and the importance of true inclusion, of acceptance and tolerance of our differences as an important part of caring for each other and building truly diverse workplaces of the future. Chief of Staff to the CEO and Head of Geoscience at BHP Billiton, Laura was the first woman to be appointed as an asset president within BHP Billiton, the first woman to be appointed as a Vice President of the Queensland Resources Council, and winner of the inaugural Thiess Women in Resources National Awards (WIRNA). After starting her career in the British civil engineering industry, Laura moved into mining in 1994. Since then, she has worked across three continents in operations spanning civil engineering, open-pit mining and underground mining. Laura is passionate about attracting and retaining women in the sector. 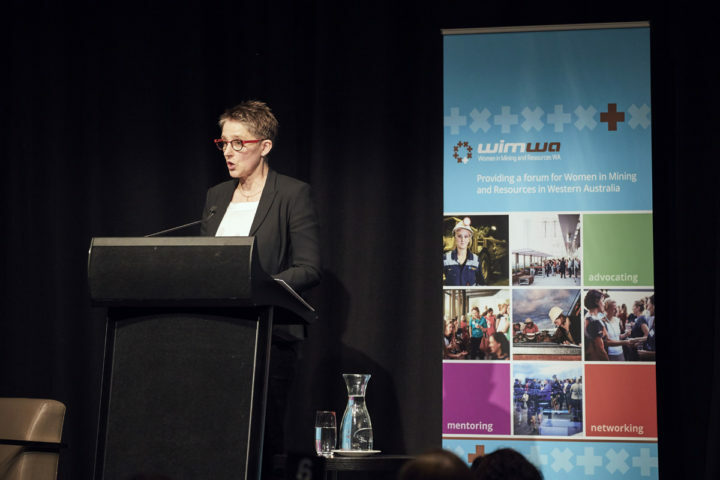 She led the introduction of Cannington mine’s first diversity plan to ensure the business supports females with high potential.